New York is widely regarded as one of the premier food cities in the world. For those with a sweet tooth – myself included – New York offers endless options for sweet delights. During our recent trip to New York, Michael and I explored the sweet side of New York, visiting some of the very best bakeries and sweet shops in the city. Come along…I promise that this is a sweet ride you won’t soon forget! First up is our favorite doughnut shop on the planet, Doughnut Plant. Established in 1994, this legendary doughnut shop and its owner Mark Israel are credited with starting the gourmet doughnut genre. This place definitely lives up to its accolades! Whenever we visit New York, you can bet we’ll hit the Doughnut Plant at least once for a sweet breakfast of doughnuts and their amazing chai latte. 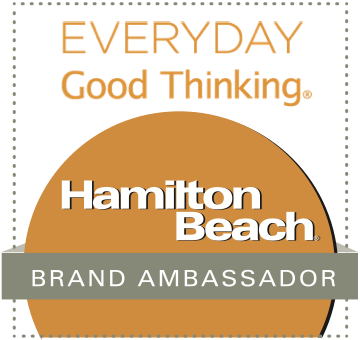 We recently arrived on a gorgeous Spring Saturday morning and met manager Michael Mason for a customized doughnut tasting. He hand-selected some of his favorite doughnuts for us to try. Then we sat and chatted with him over our goodies, and it was apparent that he was as passionate about their doughnuts as we are. The doughnuts we sampled are as follows, from left to right and top to bottom: creme brulee, coconut cream, rose doughseed, vanilla bean filed with berry jam (the unique square shape allows jelly in every bite! ), carrot cake, and pina colada doughseed. 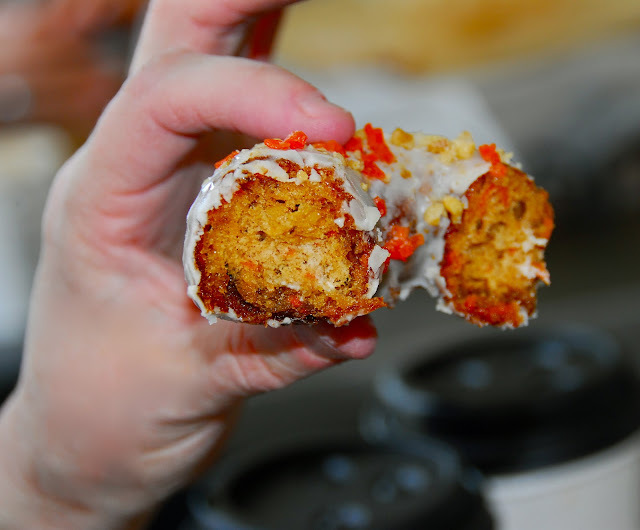 All of the doughnut flavors we sampled tasted amazing, but the most unexpected flavor for me was the carrot cake doughnut. It tasted exactly like a slice of carrot cake -- moist and spicy, with little pockets of cream cheese icing inside. It paired perfectly with their aromatic chai latte. Take a look at how gorgeous that doughnut was! Doughnut Plant's flagship location is on the Lower East Side, and there's a sister location inside the Chelsea Hotel as well. 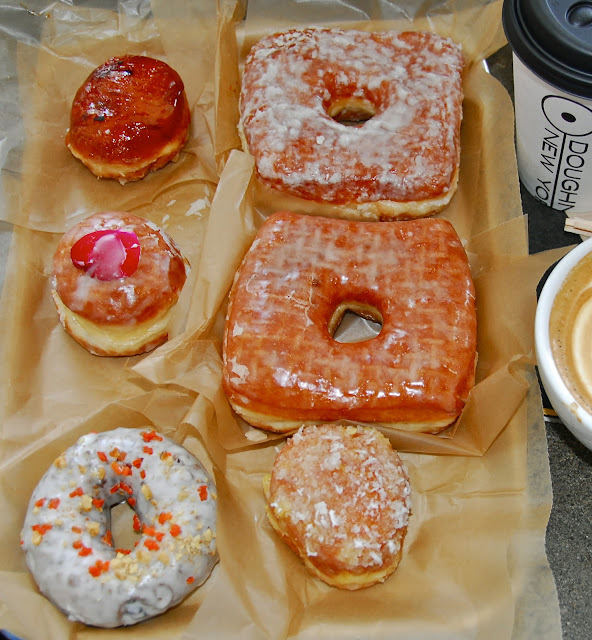 Keep in mind that Doughnut Plant is quite popular with locals and tourists, so don't be surprised if you arrive to find a line out the door. The good news is that their newer location is much larger, so the line moves very quickly. Do what we do and eat a couple of doughnuts while you're there, and take more to go for later that day -- we also highly recommend their signature tres leche cake doughnut. 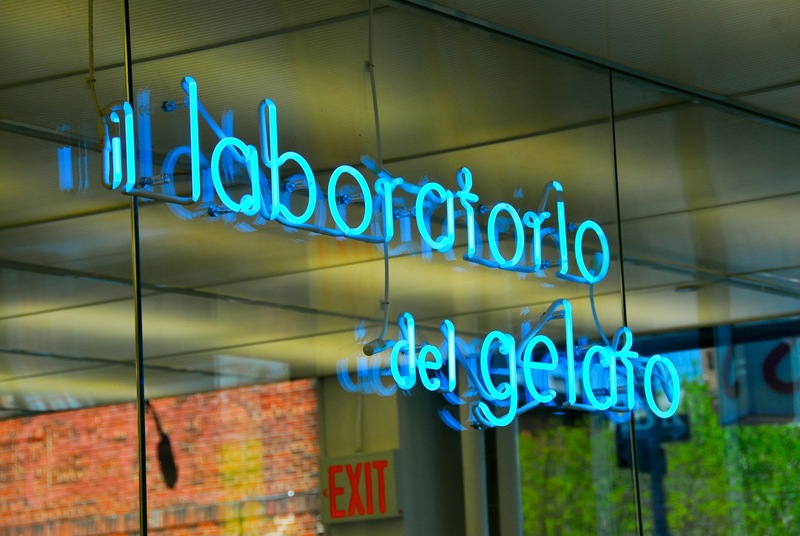 To find truly authentic Italian gelato in New York, head straight to il laboratorio del gelato, also on the Lower East Side. Since 2002, owner Jon Snyder has been creating smooth and flavorful gelato that receives rave reviews for its quality and its authenticity. When we first visited in 2010, they were located in a simple walk-up location. Since then, they’ve expanded to a larger location that includes benches you can sit on while you enjoy your gelato. We were treated to a behind-the-scenes tour to see the exacting standards behind creating this delicious gelato. This gelato is definitely a labor of love, created by hand in small batches. Afterward, we sampled several flavors of gelato from their large selection in the front display cases before picking out a duo of flavors each. I opted for lemon and mascarpone, which was a very refreshing combo. The gelato was perfectly smooth and bursting with natural flavors. 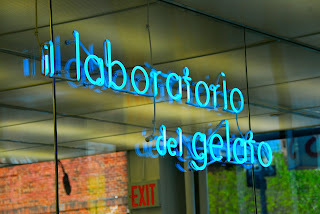 Travelers Hint: Il Laboratorio del Gelator is located a short walk from The Doughnut Plant, so it makes a perfect sweet one-two combo when visiting the LES. It’s also conveniently located directly across the street from Katz's Deli if you’re looking to satisfy a craving for a pastrami sandwich. The consensus among New York chocophiles is that Kee’s Chocolates is creating some of the very best hand-crafted chocolates to be found anywhere. Owner Kee Ling Tong invited me to meet her at the 38th St. location to see how the chocolates are produced and tell me a bit about the company. She founded Kee's after leaving behind a corporate career to follow her dream of opening a flower and chocolate shop in SoHo. Soon thereafter, she began to concentrate on her hand-made chocolates full time. Kee can be found at her shop 7 days a week. Her creative line 0f filled chocolates and decadent truffles are made by hand using only natural flavorings and ingredients. The flavors are very unique as well. During my visit, I sampled a variety of her truffles, including: Champagne, White Chocolate Pistachio, Earl Grey, Green Tea White Chocolate and Coconut Dark Chocolate Truffle. I brought a few pieces of this amazing chocolate back to Texas to share with friends, and they all agreed it was among the best truffles any of them had ever tasted. Kee’s has boutiques in SoHo, Midtown and Midtown West. 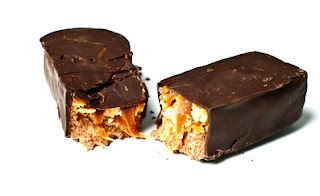 In addition to handmade chocolates, Kee’s offers artisan chocolate bars and macaron cookies. 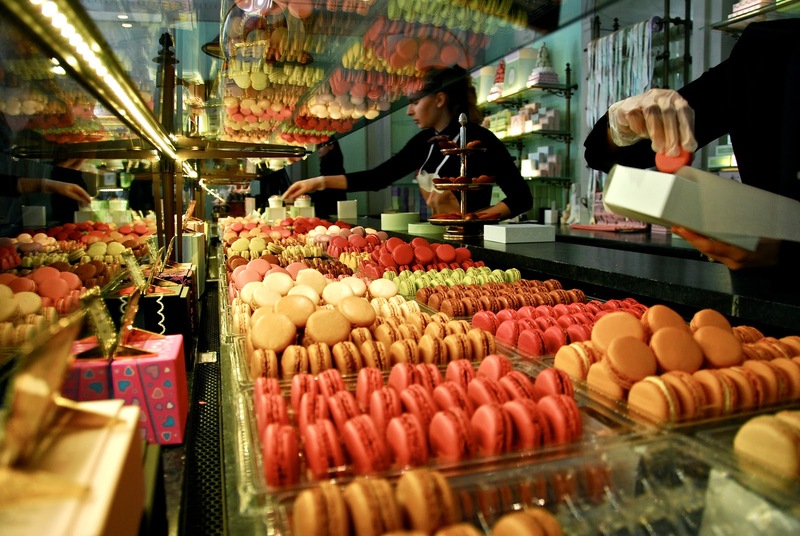 If you’re craving authentic French macarons but don’t want to spring for airfare to Paris, all you have to do is head to New York’s Upper East Side and visit Laduree. Thus far, it’s the only US location of this iconic Paris bakery. We met with owner Elisabeth Holder to sample a variety of her favorite macarons, and I have to say that eating them forever changed the way I look at this quintessential French cookie. The macarons I had before were great…don’t get me wrong. But these? Utter perfection. These macarons are flown in from Paris, and they literally melt in your mouth. As we tried each flavor, we immediately labeled it our favorite…until we tried the rose. I still swoon thinking about the experience…it’s one of the most memorable food experiences in my life. When I bit the macaron, I didn’t immediately taste rose. Then…about 5 seconds later…the aroma of roses was in the back of my throat and nose. It wasn’t overpowering at all…a whisper of rose, combined with almond and vanilla from the macaron. Heaven. Other flavors we especially enjoyed were the Pistachio, Red Fruits and Orange Blossom. 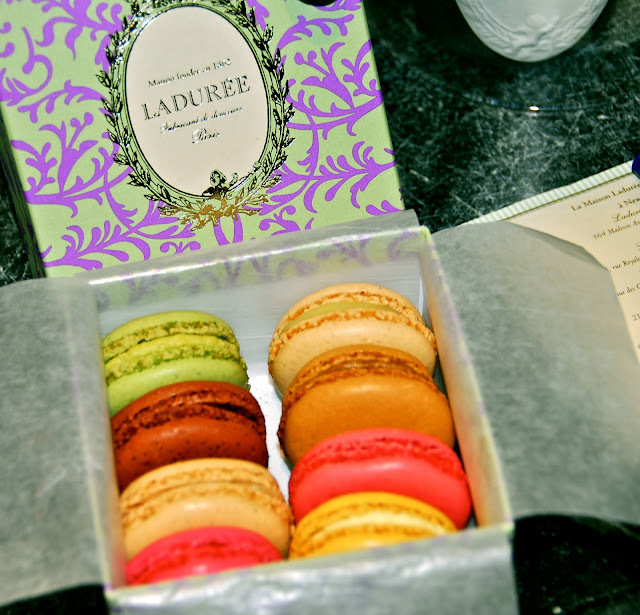 Laduree is quite popular, so the lines can sometimes be long. However, the line moves quickly…and your patience will definitely be rewarded. My advice is to slowly savor 2-3 cookies in the store for instant gratification…and have a few more packed up to enjoy later. The packaging they use is so pretty that it reminds me of a jewelry box! For me, no trip to New York is complete without a visit to Levain Bakery on the Upper West Side to pick up a few of my favorite chocolate chip cookies. These are not just my favorite chocolate chip cookies in New York, mind you…but my favorite anywhere. In my mind, there are chocolate chip cookies…and then there are Levain chocolate chip cookies. As big as three regular-sized cookies, baked golden and crispy outside, and warm and gooey inside…they are Chocolate Chip Cookie Nirvana. We always eat one warm-from-the- oven cookie sitting on a bench just outside Levain…and we take one more for the road. Levain makes several other varieties of cookies – Michael is partial to the oatmeal raisin – but I consider a visit to Levain as a chocolate chip cookie pilgrimage. Before we ate our cookies on this trip, we took time to break one apart and snap a picture of the inside for everyone back home. The first two times I visited Levain Bakery, it was for visits during early-morning city walks while Michael slept in. Then…he visited with me on our last trip in 2011. One bite, and he was immediately hooked too. We knew that no profile of New York sweet treats would be complete without mentioning these amazing cookies. Traveler’s Hint: Levain only accepts cash payment, so make sure you bring at least $10 cash with you if you want to walk out with a couple of cookies! Brooklyn’s Liddabit Sweets offers a wide variety of artisan chocolates and caramels. Liddabit was founded in 2009 by friends Liz Gutman and Jen King. They create fun small-batch artisinal candies that are familiar, but made with local and gourmet ingredients for a modern spin on classic candy. We met with the Liz to sample some of their chocolates and learn more about the company. 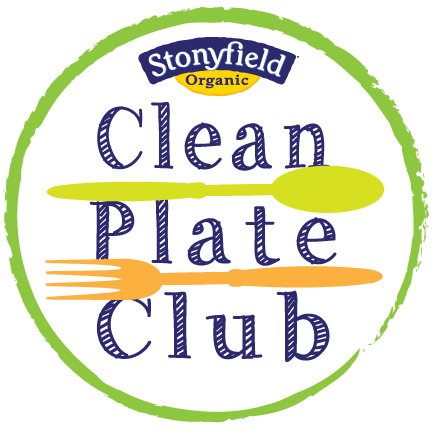 Our tasting included their crispy-sweet, addictive chocolate honeycomb candy, a potato chip encrusted Slurtle -- their take on a traditional turtle candy -- and three of their gourmet candy bars. We had The Dorie (a dark cocoa cookie, salted caramel ganache, and sautéed dried apricots with a touch of black pepper), The King (peanut butter nougat sandwiched between a brown sugar-brown butter cookie and a layer of fresh banana ganache, then dipped in milk chocolate), and The Snacker (roasted peanuts in a golden caramel resting on chocolate nougat, then covered in dark chocolate). The Snacker was reminiscent of a Snickers bar, only more upscale -- familiar, but with a delicious twist. The Dorie was a revelation: the pepper gave a little bite to the sauteed apricots, and both played perfectly against the dark chocolate in the cookie and coating. It's a sophisticated bar named for Dorie Greenspan...and so very good! If you’re a fan of the sweet-salty combo like I am, you must seek out Salt of the Earth Bakery items. They are experts at pairing artisanal salts with sweet items for the perfect balance of sweet and salty. We met the owner for a tasting of some of her signature cookies and brownies. We tried The Cookie, The Chocoholic and The Wild Oat cookies. We loved all of the cookies we tried, but the original The Cookie -- topped with Maldon flake salt -- was our favorite. 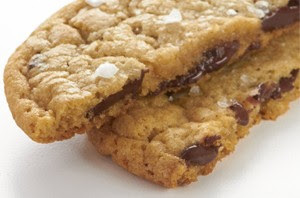 The crunch from the salt flakes combined with the buttery cookie was sublime. It's what launched the company, and it's a real winner! We also tried The Brownie, The OMG and The Kona brownies. All of them were amazing…rich and fudgy, with just the right amount of salt to enhance without overpowering. The OMG has a ribbon of salted caramel running through it. It's decadent...and utterly amazing. Sometimes, decadent is just what you need to satisfy your sweet tooth. This brownie delivers! 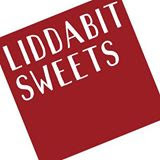 Traveler's Hint: Liddabit Sweets and Salt of the Earth Bakery do not have storefronts at this time, but their delicious products can be found throughout the New York area. You can find Liddabit products at a variety of locations around the city. 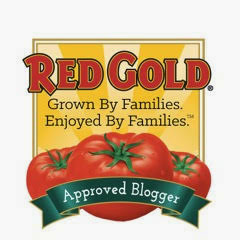 Some of their items can also be conveniently purchased online via the Liddabit website. Salt of the Earth Bakery items can be found using this store locator; they also sell their products via an online store. 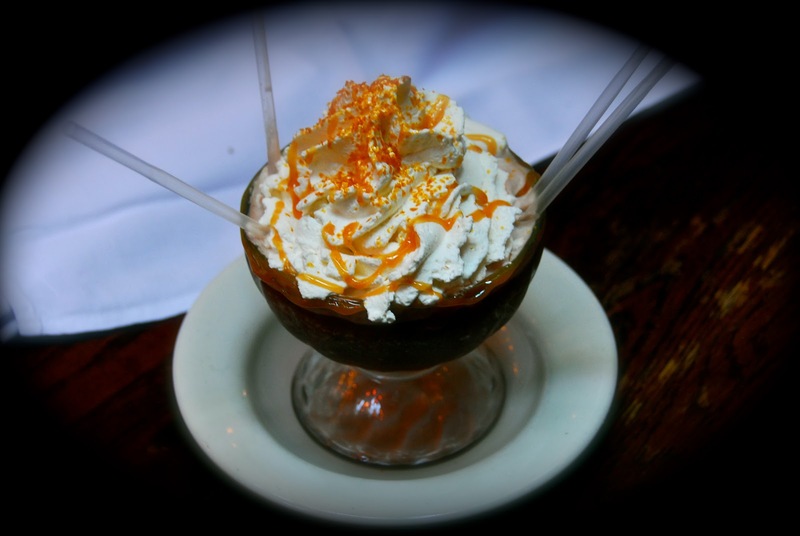 For an only-in-New York sweet-lover’s experience, Serendipity 3 is the place to go. This iconic New York restaurant and ice cream shop is best known for its signature Frrrozen Hot Chocolate. We stopped in for an afternoon pick-me-up while visiting the Upper East Side. We sampled a classic Frrrozen Hot Chocolate, a Strawberry Cheesecake Sundae, and a new menu item: Salted Caramel Frrrozen Hot Chocolate. If the concept of frozen hot chocolate sounds like an oxymora, let me explain. It’s basically a large frozen chocolate shake…rich and creamy. Definitely big enough for two -- or more -- to share! The original Frrrozen Hot Chocolate was delicious, but the addition of salted caramel took it right over the top for me! 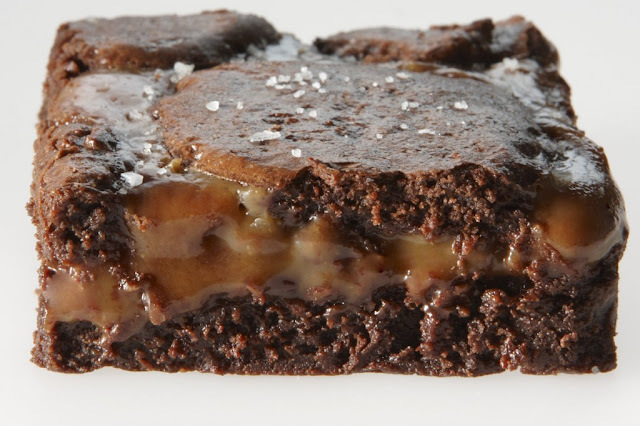 The saltiness of the caramel paired perfectly with the fudgy chocolate. I predict this will be a very popular menu item at Serendipity 3 this Summer. 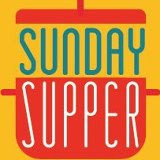 Don’t overlook the sundaes, though. 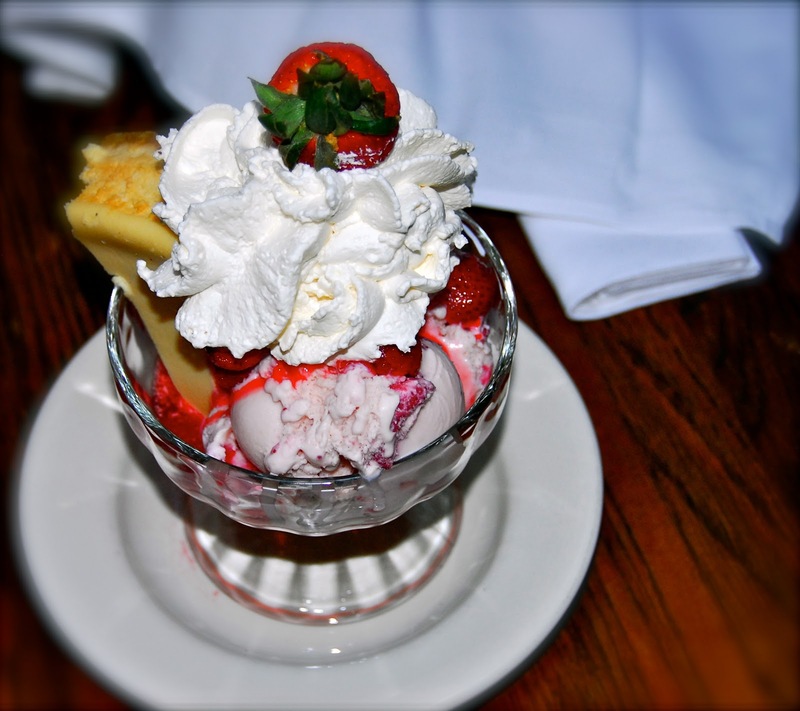 The decadent Strawberry Cheesecake Sundae featured creamy strawberry ice cream, strawberry topping, a slice of New York cheesecake and a healthy dose of whipped cream. Michael never met a strawberry he didn't like, so this dessert was right up his alley. Each bite contained a bit of ice cream, cheesecake and strawberries. I managed to snag a bite, and it was decadent and good. We definitely left Serendipity 3 with a satisfied sweet tooth! As you can see from the small sampling above, New York offers many ways for sweet lovers to satisfy their sweet cravings. Whether you’re looking for a cookie, a doughnut, a frozen treat…or some chocolate…you’re sure to find it. These are our personal favorites, and I hope you’ll give them a try the next time you find yourself visiting New York. Some of them may even change your life. A good cookie can do that, you know! Do you have a favorite New York sweet treat tip to share? I’d love to hear it so I can start my list for our next trip! Disclosure: The venues highlighted in this article provided us with complimentary tastings to facilitate their inclusion. However, all opinions expressed are my own. Other than the pictures used for Liddabit Sweets and Salt of the Earth Bakery, photographs are copyright Michael K. Garcia and may not be used or reproduced without permission.